Does Mom or Grandma love to bake? 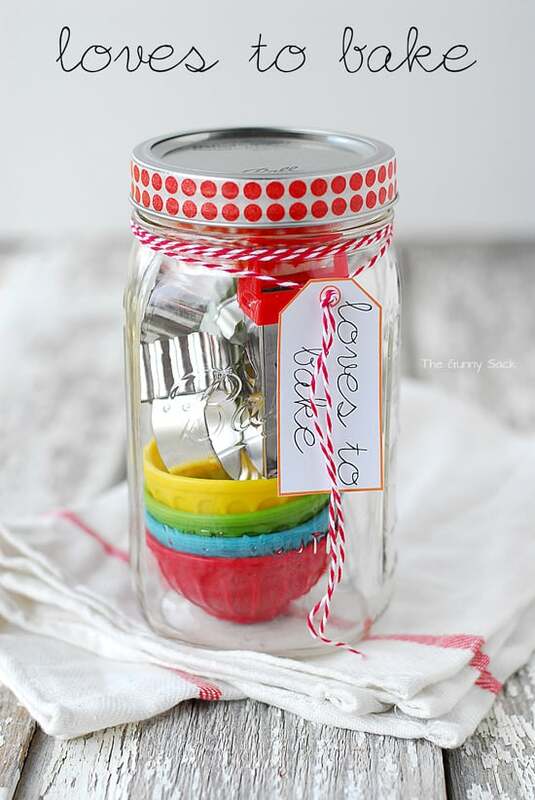 Then she’d love the useful little goodies inside this cute mason jar gift from The Gunnysack. 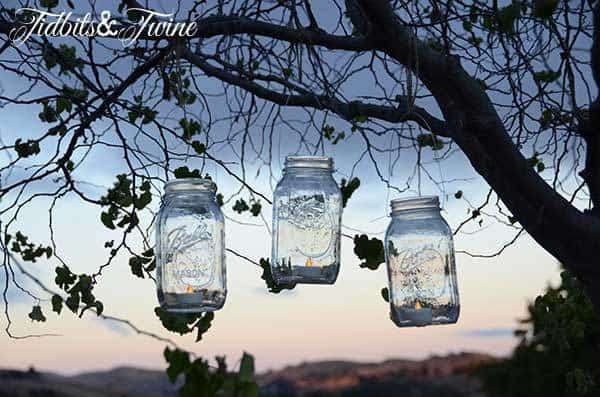 This adorable DIY Mother's Day mason jar gift from Tidbits & Twine is actually 2 awesome gifts in one - a manicure kit that can later be used as a lantern! A cute little gift for the Mom or Grandma who enjoys sewing ! See the directions at Polka Dot Chair. Who doesn’t love a terrarium? 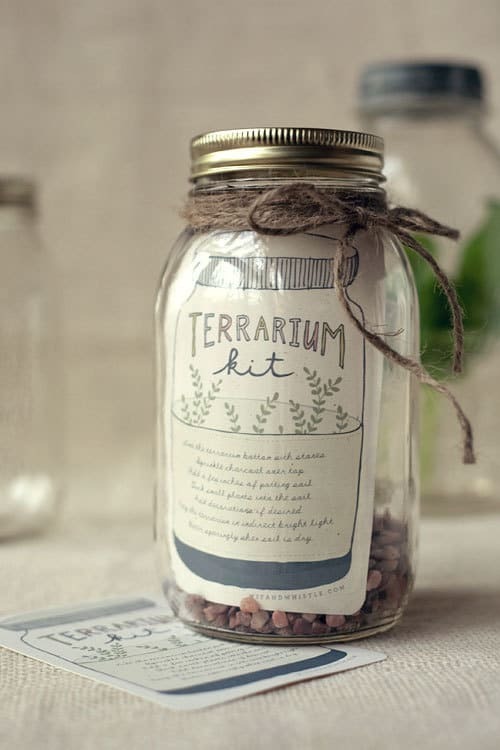 They are a bit hard to wrap however, which is why this cute DIY terrarium kit is a fabulous idea. Get complete instructions (and the free printable label ) at Wit & Whistle. Need a fun and cute gift for the stressed-out Mom or Grandma? 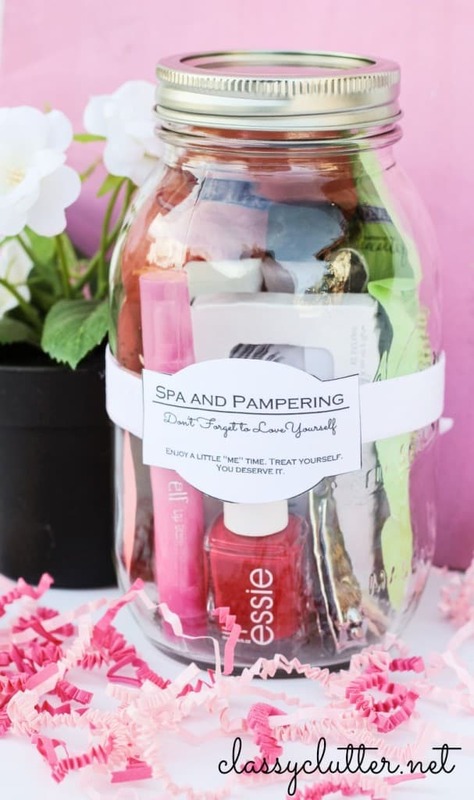 This adorable mason jar spa kit is the perfect solution! 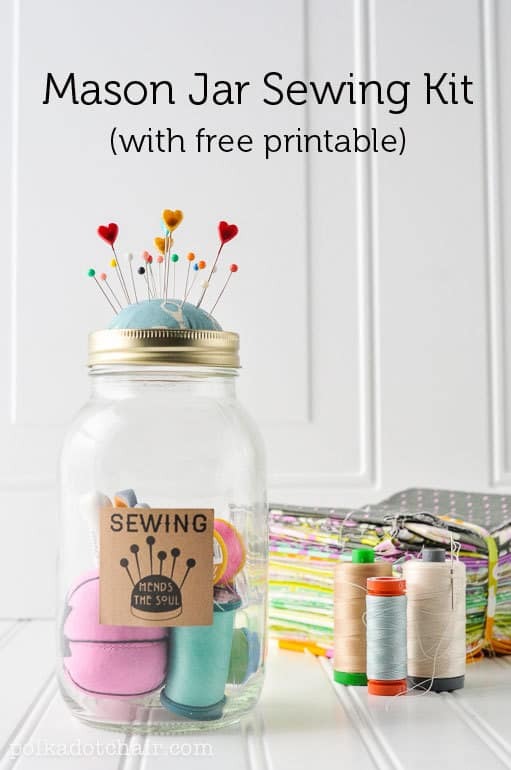 Get the directions and the free printable labels at Classy Clutter.